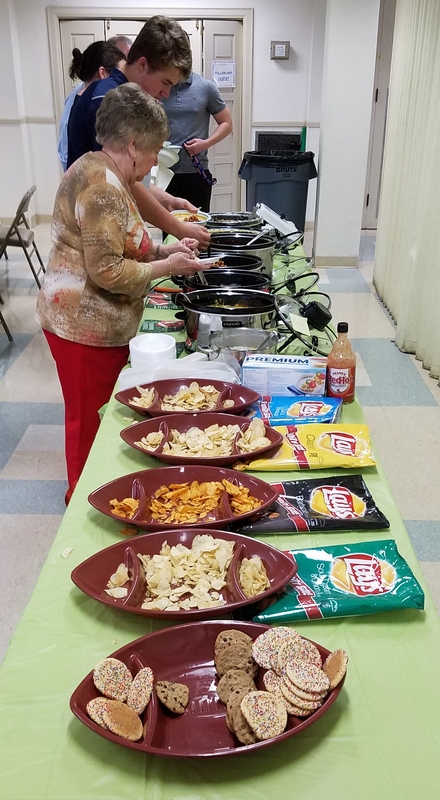 The Souper Bowl of Caring was celebrated on February 3, Super Bowl Sunday. There was a soup lunch after worship. “Payment” for lunch was canned goods or a monetary donation which were donated to the Christian Service Center and the Blessing Bags for the homeless prepared by the children and Middle School youth. Over 50 folks stayed for lunch. Thank you to everyone who donated and to those who made the soups!